Matese also states that a body that has several Jupiter masses can exhibit an elliptical, or parabolic, orbit around the Sun, and also that it could pass through the central, planetary Solar System without affecting the orbits of the other planets to any fundamental degree. In fact, he considers it a precondition that the sub brown dwarf would enter the planetary zone periodically, during an orbital fluctuation event known as 'oscultation'. The idea that Nibiru exists at all is, therefore, not quite so far fetched as one would initially suppose. Also, its size can be as large as 10 Jupiters without inflicting permanent damage to the relatively stable structure of the solar system, even when entering the planetary zone (See DarkStar13). 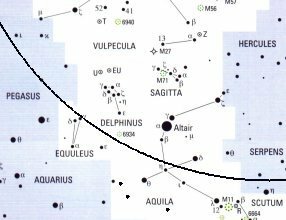 Therefore, the whole orbit appears thus: Aquila (aphelion), Ursa Major, Cancer, Canis Major and Orion (perihelion), Taurus and Aries, then back in the direction of Sagittarius. 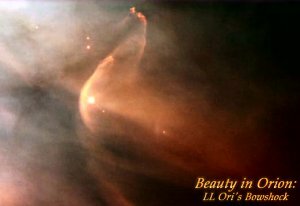 The significance of perihelion occurring in the region of the sky between Sirius and Orion is not to be underestimated. This is the sacred Duat and leads us into mythological territory. 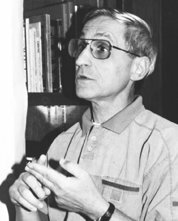 Therefore, it does not appear unreasonable to look for ways in which Nibiru’s passage though the heavens could be used to explain these myths. It is also important to seek to locate the last passage of Nibiru, knowing that the brightest point occurs in the Duat. This clue is all-important when trying to date the Messianic Star and the Flood. “Its snortings throw out flashes of light; its eyes are like rays of dawn. In this case, size matters! To have the sort of global destructive power that Nibiru unleashed without actually making contact with Tiamat, then we are looking at a planetary size of gas giant proportions at the very least. The added descriptions of the lightning strikes and enveloping corona point to a mini-sun, or dark star. What is totally clear is that this monstrous sized planet is not a terrestrial-type world. If it were, then its size compared to Tiamat it would be like the Moon compared to the Earth. No one could seriously imply that a body the size of the Moon would destroy the Earth during a close passage, without even touching it. Nibiru must be very considerably larger than Tiamat, which in turn was proportionately larger than the Earth. But that is not to say that Nibiru’s gravitational pull would not cause an epidemic of normal comets to enter the Solar System, and this could account for periodic environmental catastrophes on Earth. It may also give the ‘dragon’ a tail. In his semi-fictional work "The Lost Book of Enki", Sitchin alludes to a fiery body appearing in the sky; a 'flaming dragon', or 'monstrous demon from the celestial deep', and identifies it as a flaming comet associated with Nibiru (6). 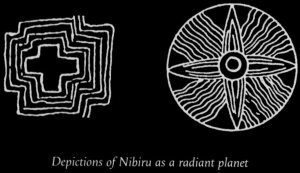 Given that a comet moving through space could not actually be on fire, unless burning up in Earth's atmosphere, I think the description would better describe Nibiru itself. Nibiru would get excited by its close proximity to the Sun during perihelion, warming it and creating a coronal aura as its brown dwarf status is energized. 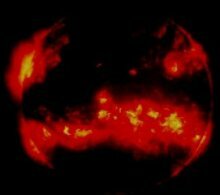 This coronal discharge would not encircle Nibiru, but would be swept back by the Solar Wind, appearing like a pair of fiery wings flying towards the Sun. For more details, see DarkStar21. Would this not look remarkably like a celestial fiery bird, or dragon? Is it the Phoenix of Egyptian mythology, reborn periodically in the sky, or the celestial dragon that makes up so much of Chinese and Arthurian mythology? Does this understanding also correlate with the “Messianic Dragon” mythology revealed by Sir Laurence Gardner in his Grail Series? (7) The Messianic Dragon can be understood as a duality underlying much heretical knowledge. It reflects the conflict between Horus and Set in Egyptian mythology. The brown dwarf resides for the most part in the constellations of Aquila and Serpens, the Eagle and the Serpent. Combine these and you have a celestial dragon. This point of aphelion is opposite the Duat in the celestial sphere, which the evidence above commends as perihelion.